Once in a while, I end up with a block or two or four left over from another project. 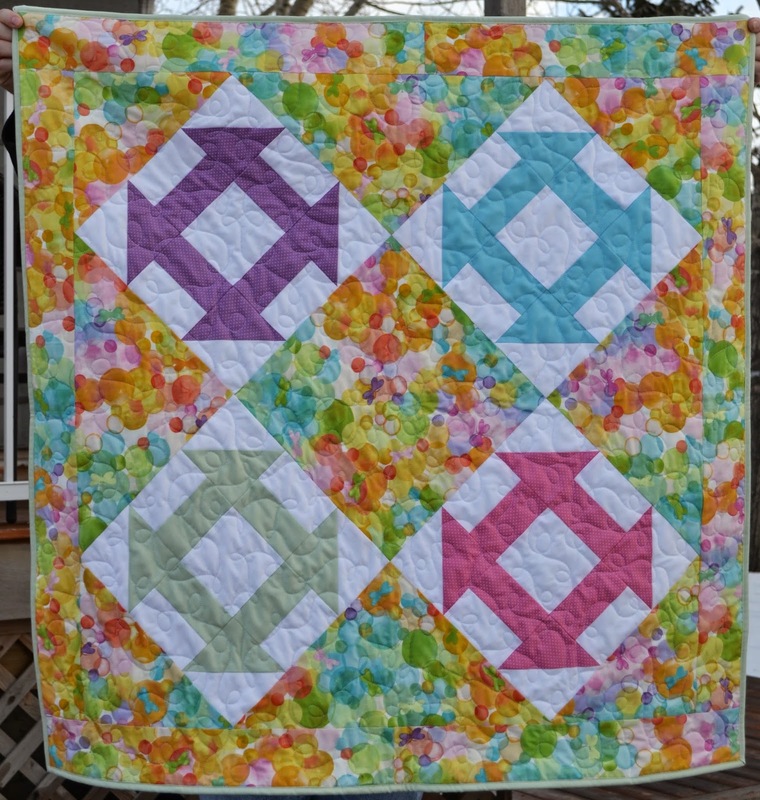 Last year I made this wonderful full-size churn dash quilt from a lovely set of pastel fabrics. Blogged here. Churn Dash Quilt - FOR SALE HERE! There were four blocks left over and I put them aside thinking I would make 2 more and make a baby quilt with a little adding sashing and a border. Baby Churn Dash - FOR SALE HERE! I found this beautiful watercolor fabric in my stash when I counted my inventory and knew it would be perfect with these blocks. The blocks went up on my design wall and I used up every bit of that fabric to stretch this quilt to a good size for a cuddle quilt for a baby. 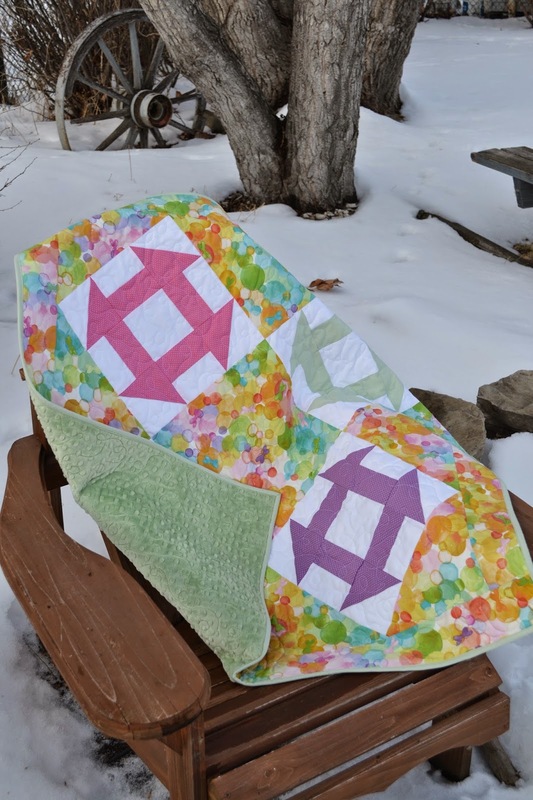 Backed with a matching pale green Minky, this quilt is so much prettier in person! What do you make with your left overs? Love both of those quilts! I like to make small quilts or bags out of my leftovers. Mug Rugs are a great idea as well! I Cleaned up and Look What I Found!